Register Here for your ​KBF summer pass! Summer vacation often means parents are out looking for activities to keep kids busy. Kids Bowl Free is perfect for both kids and adults, who may be looking for a fun way to beat the summer heat. KBF summer passes will be available starting April 1st and throughout the summer until the program ends on August 29th 2019. 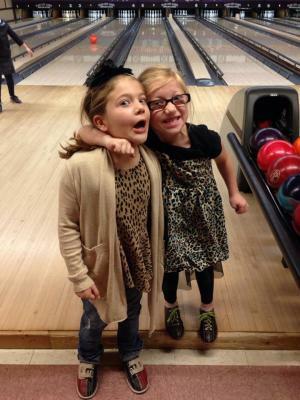 The KBF passes offers 2 games of bowling every day for each registered child on the designated days and times Plain City Lanes offers. Shoe rental is mandatory unless you have your own bowling shoes. No street shoes are allowed in the bowling area. Shoe rental is $3.00 per pair. Adult family members can purchase THE FAMILY PASS! So every family memebr can enjoy bowling throughout the summer as well! KBF coupons can only be used during the designated hours listed and cannot be combined with any other coupons or offers. KBF cannot be used as a birthday party, daycare events or for large groups. No more than 1 Lane can be rented at time. Lanes can be reserved in advance during our designated time available. Please call ahead for availability.